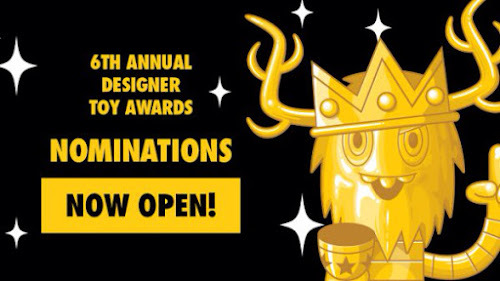 The Sixth Annual Designer Toy Awards are here! The DTAs rely on community nominations so we need your help! If over the last year you had a favorite toy, company, blog, plush or whatever take five minutes and go nominate them for a chance to be included in the finalists! The awards are a celebration of this art scene and a fun event for everyone so be a part! The show is held in October during New York Comic Con and all are invited so plan your trips now! I won't tell you who to nominate but Sarah wrote a good overview of what's up.